World famous footballer, Cristiano Ronaldo and his girlfriend, Georgina Rodriguez have been spotted looking stylish for an event. 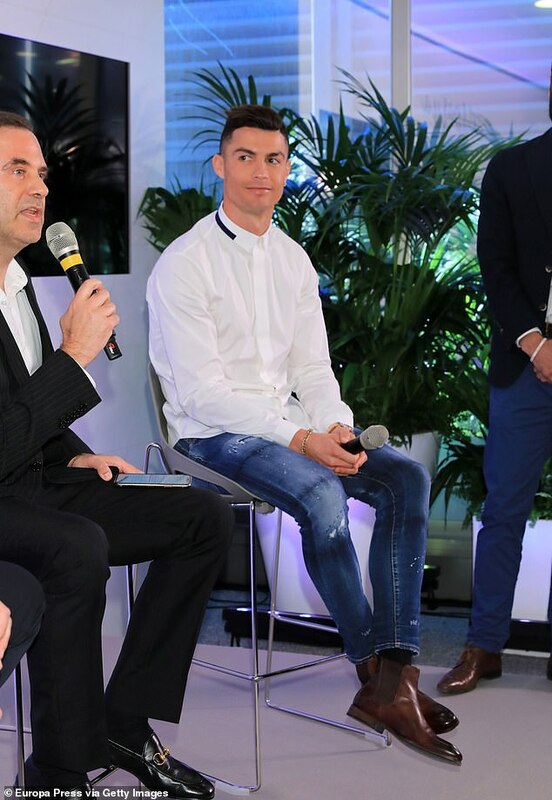 The Juventus ace, 34, opted for a suave display as he rocked a slick white shirt and distressed indigo jeans to promote his exciting new business venture. Cutting a stylish figure, model Georgina, 25, stunned in a sleek white blouse as she made a supportive appearance at the event. The yummy mummy ensured she didn't let the hunky sportsman down in the style stakes as she complemented her ensemble with clingy leggings and edgy thigh-high leather boots by Christian Louboutin. Catching the eye, Georgina accessorised with sparkly dangle earrings and swept her dark locks into a chic bun. 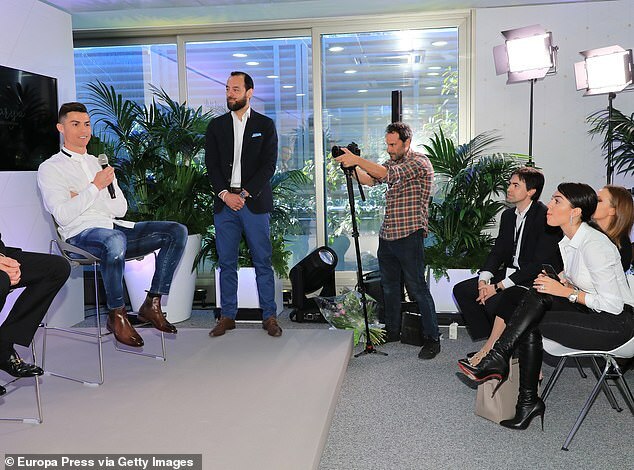 In a snap posted to Georgina's Instagram account, the footballer appeared pensive as he joined a panel to discuss his hair clinic, which will be managed by his girlfriend. Previously speaking about his new venture, Cristiano told Spanish paper ABC: 'Madrid is the city which made a mark on my life forever from a professional and emotional point of view. 'I developed an important part of my career there and it's also where I built my family. I like to support entrepreneurial projects with solid features to spread the best of what we have in Portugal throughout the world.